The OM-ML series includes a range of robust and reliable data loggers. They are simple to set up and used with a software interface which gives rapid and easy access to the stored information. All units feature a rugged injection molded IP67 waterproof enclosure. These data loggers are available for several temperature ranges. The memory capacity of all the temperature loggers is 2000 samples. OM-MLWIN is an integrated Windows based software package for OM-ML Series data loggers. The software is designed to allow you to configure the data loggers, collect data from the data loggers, store the data in meaningful ways, and present the data graphically for cutting and pasting. The software also provides easy access to numerical data for onscreen review and allows export of data for use in spreadsheets. Weight: 114 g (4 oz) approx. 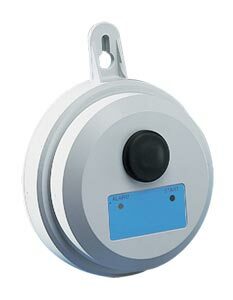 참고: All temperature data loggers include a magnetic key and user’s manual.